POSSIBLE, a WPP Digital company, is excited to announce the appointment of Berlinda Lim as Head of Analytics, Asia Pacific. 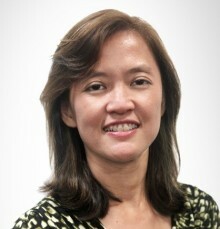 Berlinda will report directly to Kenny Powar, CEO (Asia Pacific). She is a seasoned CRM and Loyalty marketer with over 15 years of experience across a broad spectrum of disciplines. See Press Release for image and more details.